Diego Casetti comes from a family of firefighters in Chile, a country with a volunteer fire department system and one of the best in the region. His mother, father and sister are all firefighters, putting in hours at the station and on call when they are not at their jobs. They are proud members of a network of people across the country who spend time physically training and talking about things like which cuerpo, or division, has the newest fire truck. Diego has pulled people from burning buildings, participated in the evacuation after the Villarrica Volcano eruption, and because he is also part of a water rescue team, has saved lives off Chile’s coast. It is from this experience and sense of duty that Diego founded Fireless, platform for communication between dispatch centers and firefighters. Fireless uses web technology on mobile devices to provide more information, quicker, from fire stations to firefighters. It also provides real time information like directions, details about the emergency, and allows firefighters to indicate if they will respond to the incident. Diego is a computer programer and build the first version of Fireless himself. His own division of firefighters, Cuerpo de Bomberos Temuco, were the first to pilot the system. The firefighters loved the convenience of getting alerts directly to their mobile phones, but the real time directions that alert them to road closures and traffic is what they quickly grew to rely on. Seven cuerpos are currently using Fireless and five more are expected to start pilot programs this fall. 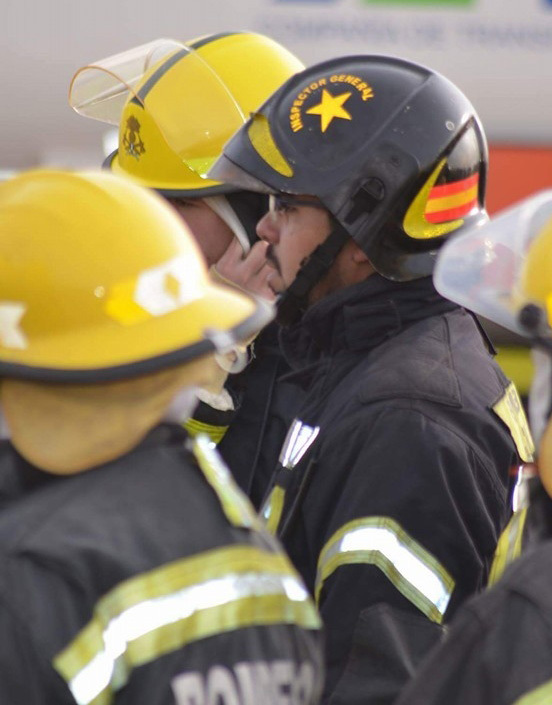 In Chile each cuerpo contains six fire stations on average and there are 305 cuerpos across the country. Cuerpos spend about 10,000 USD a year on trying to solve the problem of communications. Fireless is the only software competitor in this market. They have received inquiries from fire departments in other South American countries. Diego now has a team of five and no longer has to do development work and can focus on sales. Karen Pacheco and Diego Palma are front end developers, Daniel Heresmann is a back end developer, and Juan Velazquez helps with sales and administration. Some of the Fireless team members are thinking about becoming volunteer firefighters themselves. The Fireless team is working closely with their customers and are prioritizing new features to roll out. They are working create a dispatch system, which will manage and automate protocols to support the alarm center.